I promised to make a festive dessert for the holidays – even if our Christmas tree isn’t up yet. Let me introduce you to Melting Meringue Snowballs that are so simple to make and assemble, plus can be prepared in advance. What’s more, the inside has a generous surprise awaiting. Now it’s just over to you to ‘throw’ a party! The recipe may look long but please don’t be put off. It’s just all explained in detail and so worth the effort. Thanks to the hosts, Terraillon France, I was invited recently to a special Noël pastry demonstration given by Chef Alexandre Favre at the Michalak Masterclasses, run in their new workshop behind the pastry boutique in rue du Faubourg Poissonnière in Paris’s 10th arrondissement. For me, this was a meringue revolution! 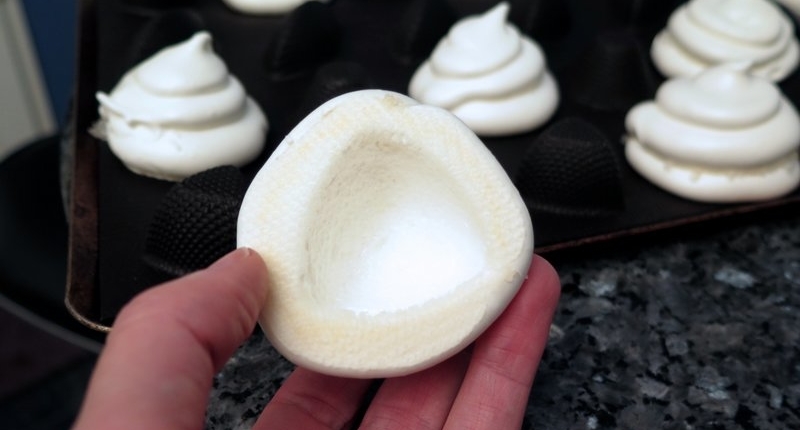 I’m not the biggest fan of meringues as I normally find them too sweet – so imagine my surprise when meringues had been piped out using upturned silicone cake moulds to make a large hollow inside. 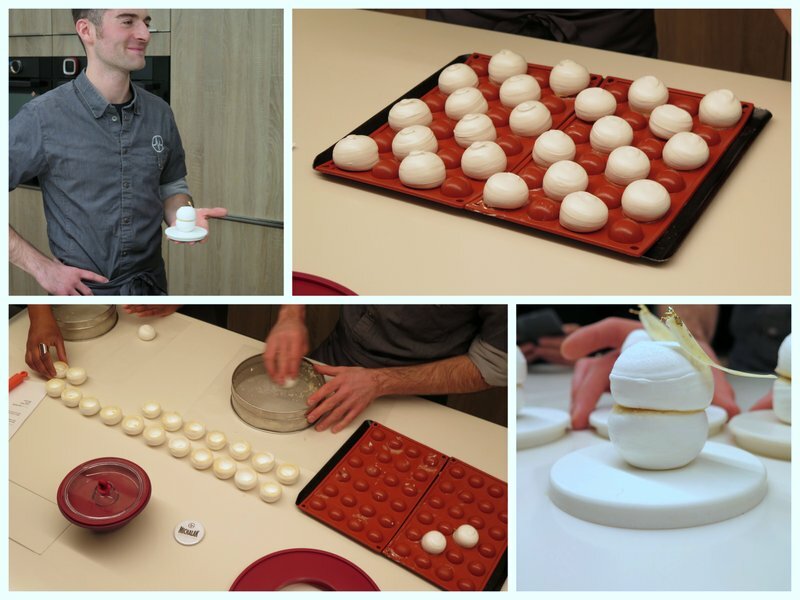 Chef Alexandre’s boule de neige meringues were sensational mini meringue snowballs – as he had smaller moulds and piped them out as more realistic snowballs without any swirly effects. As my moulds were slightly larger, I piped out a spiral effect to make them into larger, rather melted meringue snowballs. 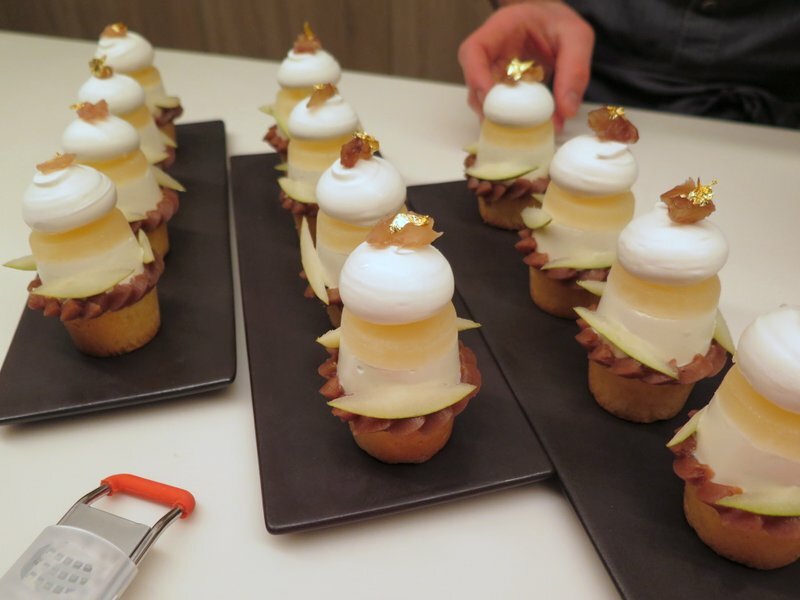 Two separate desserts were prepared during the demonstration, including these impressive Mont Blancs with pear, lemon jelly and praline on lemon cake bases. I was so smitten with the tart lemon jellies that I added them to my melting meringue snowballs to add that zingy acidity to make the meringues slightly less sweet. The result? The lemon just makes it! Although the lemon jelly recipe calls for sugar, it doesn’t even need it if you prefer a tart surprise inside. TIP: If you’re using organic unwaxed lemons for the juice, grate the lemon zest, place in a zip-lock bag and freeze. 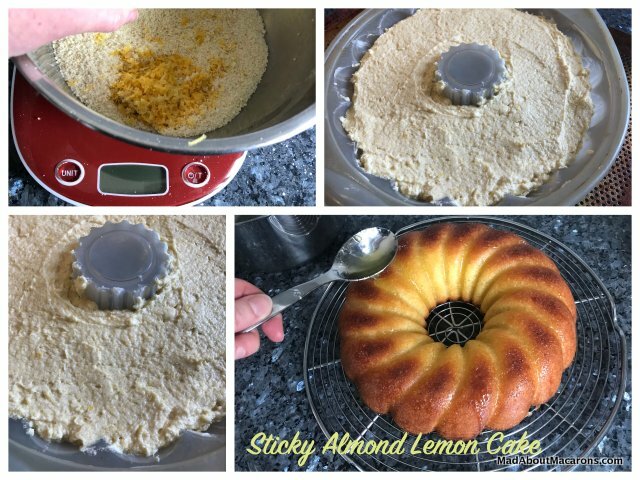 You’ll love this for an even quickly-made Moist Lemon Almond Cake, for example. 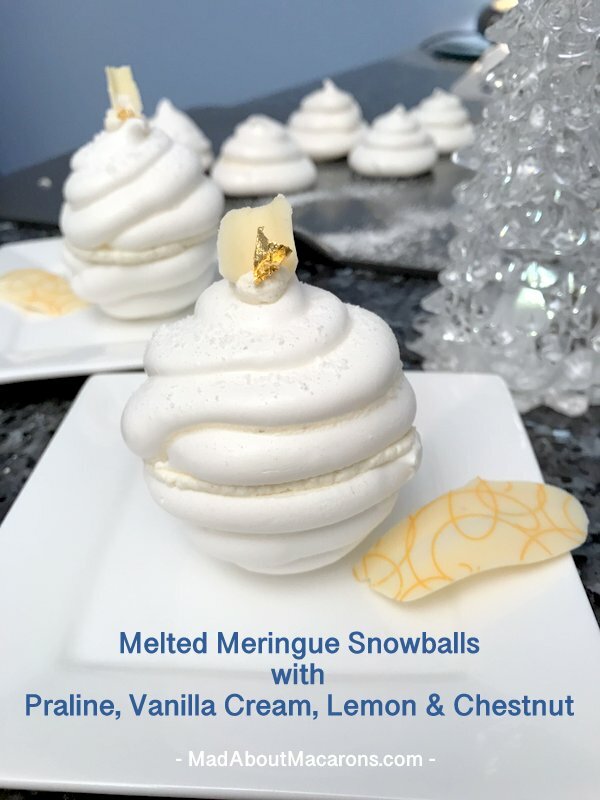 Chef Alexandre uses the French meringue method for his boules de neige snowballs – just like I use in my recipe for Parisian macarons in both my books. I find it so much easier to work with and there’s no need to fuss about with a thermometer. Why make things complicated when you can keep it simple? Equal quantities are measured out of the egg whites (like the macaron recipes in my books, I use egg whites that have been stored in the fridge for 3-4 days), sugar then whisked together until soft, firm peaks. Then the icing sugar (powdered sugar) is folded in using a good spatula. 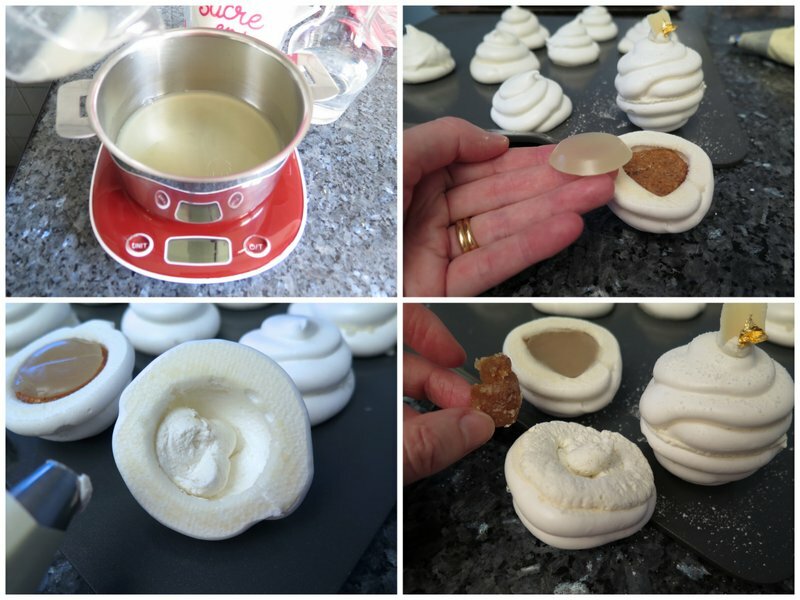 Don’t forget that measuring out your ingredients using a good digital scale is vital in French patisserie (read my article here to find out why). Incidentally, I use Terraillon’s Macaron digital scale for precision in my baking. After constant use for over a year since I’ve had it, the batteries finally gave up on me yesterday. The good news is that this kitchen scale let’s you know STRAIGHT AWAY with “Battery” flashing up so that your baking is kept consistent. The new Terraillon silicone piping bag comes with a variety of exciting tips, easily clipped on to the bag’s holder. To push the batter or whites in the piping bag, use a patisserie scraper (corne en plastique). I used a simple plain tip to pipe out around the moulds. Two hours later, once the meringues are left to cool, they easily come off the silicone moulds – with a most beautiful hollow ready to fill! Each meringue base just needs to be filed off using Terraillon’s new microfilm grater, part of their new baking utensils range. 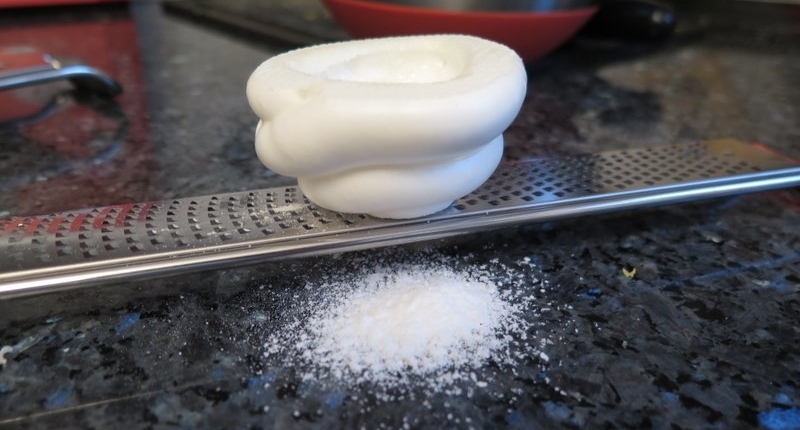 This way your melted meringue snowballs can sit perfectly upright without falling over. Split the meringue in the middle and you’ll appreciate how the hollows means less dense sweet meringue and more delicious fillings. 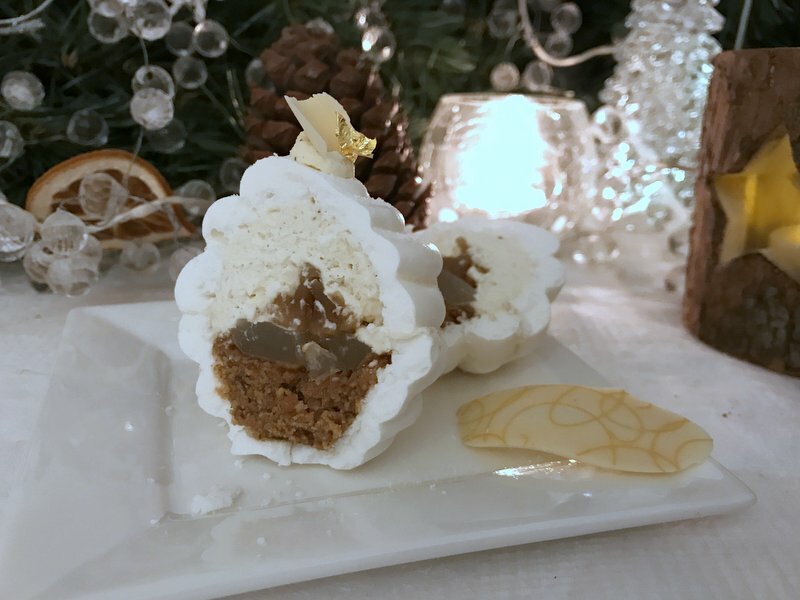 It’s not just a Melting Meringue Snowball – it’s generously filled with toasted hazelnut praline, bitter lemon jelly, unsugared vanilla cream and I added a candied chestnut (marron glacé) just to complete the French-style festive touch. Again, weighing out the ingredients carefully, the praline can be made in advance and kept at room temperature for up to a month. 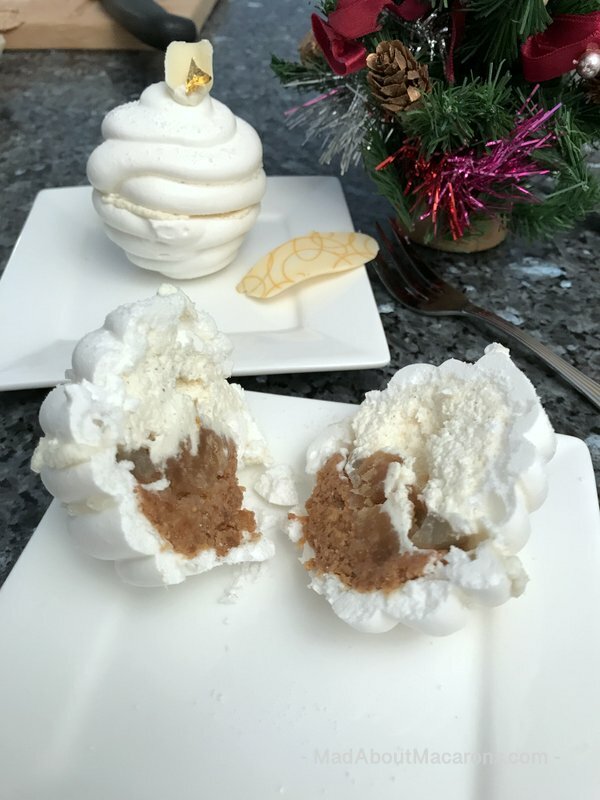 Separate the meringues into couples and in each half, fill with praline and lemon jelly; the other half, fill with unsugared vanilla cream and drop in half a candied chestnut (marron glacé). 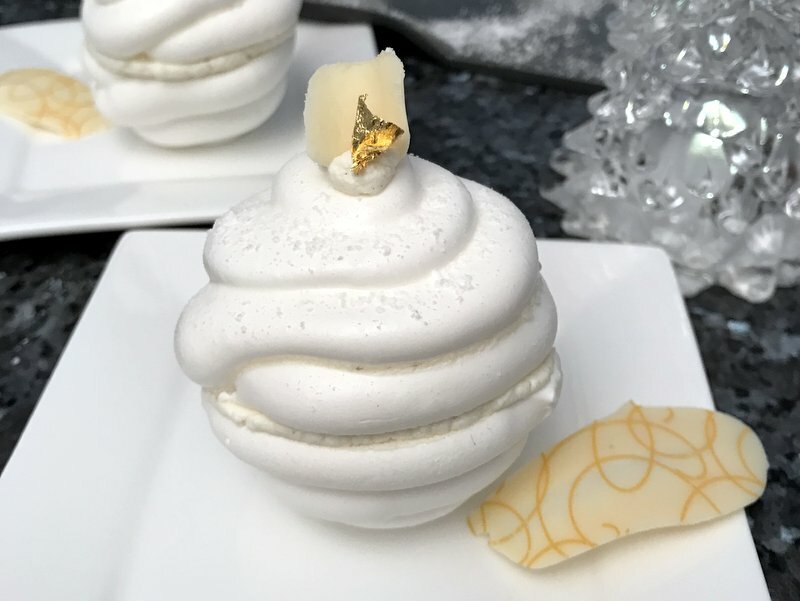 Stick them together with the vanilla cream, add a tiny dollop on top of each melting meringue snowball and top with some gold leaf and white chocolate shavings. 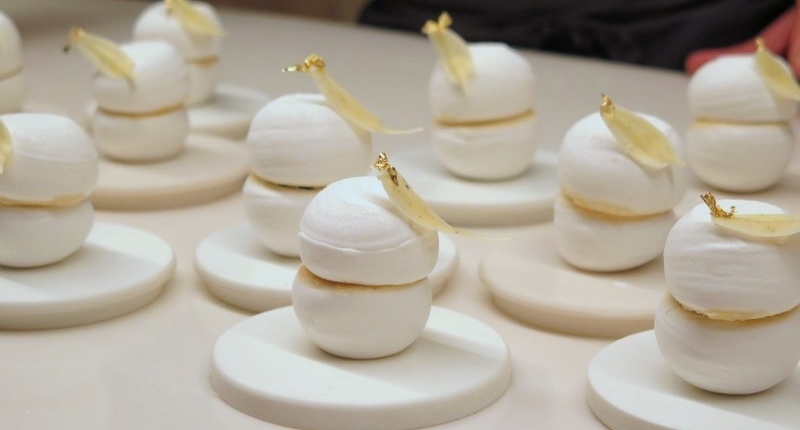 Melted Meringue Snowballs, generously filled with roasted hazelnut praline, lemon jelly, vanilla cream and candied chestnut for a special French festive dessert, inspired and adapted by Chef Alexandre Favre during a Michalak Masterclass by Terraillon in Paris. Using an electric whisk or a stand-mixer, beat the egg whites at medium speed until the whites start to foam. Add 1/3 of the sugar then increase speed until the meringue starts to form. Gradually add the rest of the sugar while beating until the peaks are soft, shiny yet firm. Stop the mixer and fold in the icing sugar using a spatula until well incorporated. 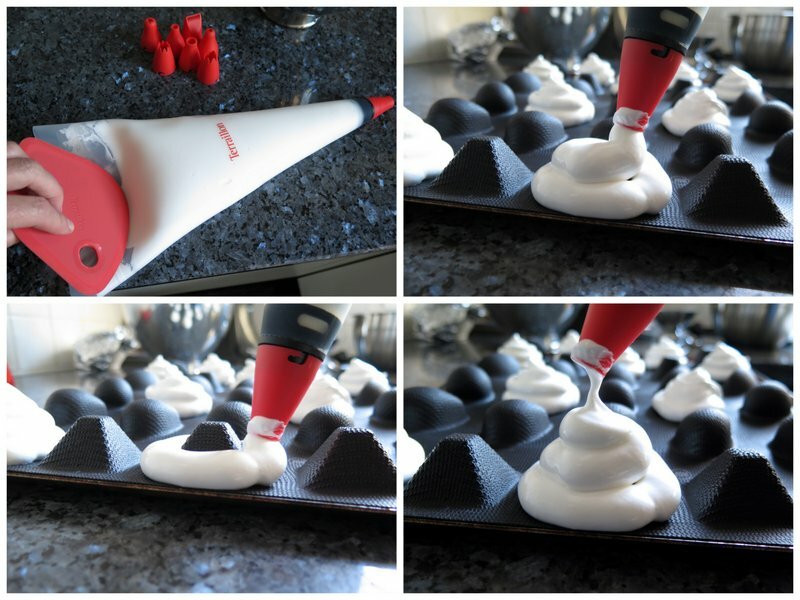 Transfer the meringue to a piping bag with a plain 10mm tip then pipe out spiral mounds around an upturned silicone mini cake mould. Bake in a cool oven at 80°C fan for 2 hours (according to the chef but I can't make my oven that low - so baked at 110°C fan/130°C/250°F/gas 1/2 for 2 hours. As the meringues were bigger than his minis, it still worked out well at 2 hours. After 2 hours, switch off the oven, open the door and leave inside for 10 minutes. Remove to cool then lift off the moulds. Once cool, grate the wispy tops off half of the meringue shells to smooth in order to let the meringues stand upright. In a small saucepan, bring the lemon juice and water to the boil. Add the sugar (if using) and the agar-agar. Pour the mixture immediately into mini silicone cake moulds (preferably the same size as the meringues) and leave to set in the fridge for at least 30 minutes. Once set, they're easy to remove from the moulds. Toast the hazelnuts under a hot grill for a couple of minutes. When cooler and able to handle, rub the hazelnuts between your hands to easily take off the skins. Gradually heat half of the sugar with a few drops of water in a small saucepan until it starts to melt. Add the rest of the sugar and leave to melt until a golden caramel forms. 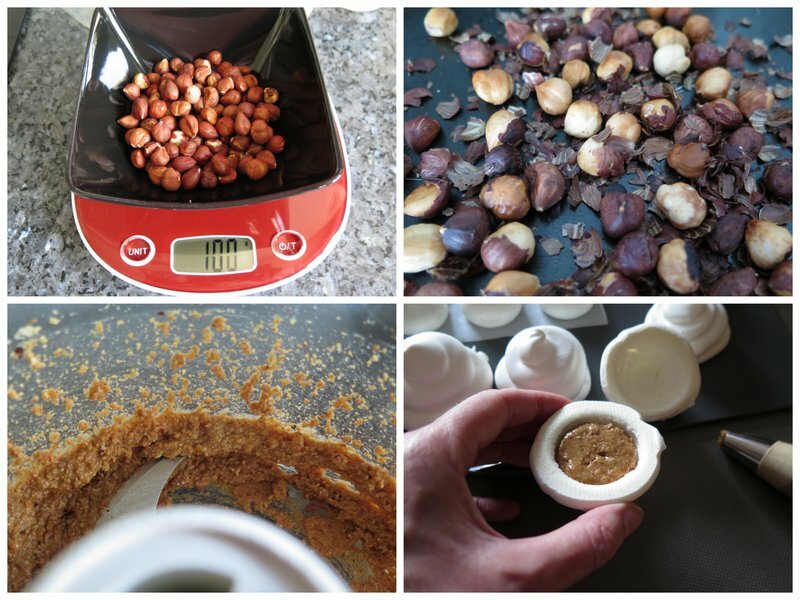 Immediately transfer the warm, liquid caramel to a food processor and mix together with the toasted hazelnuts until it forms a soft paste. Transfer to a piping bag. 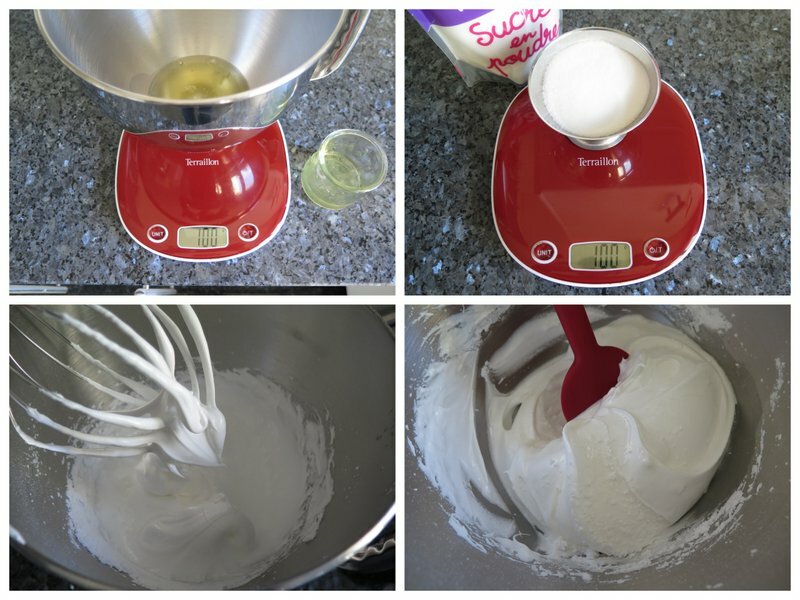 Using an electric whisk or a stand-mixer, whisk the whipping cream with the vanilla on high until it thickens. Whisk in the mascarpone then transfer to a piping bag. Separate the meringue shells into couples for each Melting Meringue. Pipe in the praline into one half, top with the lemon jelly. In the other halves, pipe in the vanilla cream and add half a candied chestnut. Stick both halves of each meringue together with the cream. Add a tiny blob of cream on top and garnish with white chocolate and gold leaf. Decorate with gold leaf and white chocolate shavings. Sprinkle each meringue with the meringue powder, following grating of each base. Serve with a semi-sweet Champagne to celebrate. With huge, special thanks to Terraillon France for hosting the event and to Chef Alexandre Favre for such a wonderful festive demonstration and meringue inspiration from the Michalak Masterclass in Paris. Now it’s over to you – Express Your Chef! Never Miss a New Recipe or Article! PLUS if you’ve signed up for my seasonal newsletter, you’ll receive the next issue this week! PIN me, share me and throw a party for me! Have you made any of the recipes from le blog, my books, or fancy making these Melting Meringue Snowballs? Please leave some comment love below, take a picture and hashtag it #MadAboutMacarons on Instagram or Facebook – or just spread the word about le blog! I’m thrilled and totally over the moon to be voted as BEST FOOD BLOG IN PARIS 2018 and feature on the cover of Expatriates Magazine. A HUGE thank you to YOU, my readers and friends for all of your support this year! You’re the best! Copies of the magazine are being distributed this week around Paris so don’t forget to pick up your free copy. Disclaimer: I was invited by Terraillon France to watch this demonstration. 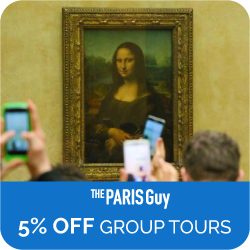 I was not compensated for this post and not obliged to write about the experience. As always, all opinions are my own. Huge thanks to Chef Alexandre Fevre for permission to use his recipe. Who loves lemon? We’ve been seeing such gorgeous lemons at the market recently, bringing their springy southern sunshine to Paris, that this Almond Lemon Easter Cake is giving us a bit of much needed zest at this time of year. It’s also ideal for pairing with chocolates in all shapes and sizes. What fun it has been to put this simple, sticky cake together and dress it up with sugared edible flowers, macarons and Easter chocolates – just to be festive and celebrate Spring, following Macaron Day. It goes without saying – take the decorations away and it’s still a luscious lemon cake in its own right at any time of year. Why is there a chocolate hen nesting on the cake? French traditions of chocolate are surprising at first: as we’re used to mainly chocolate eggs and Easter Bunny sculptures and more in the UK, there are also some added traditional popular forms that appear – from supermarkets to the high-end expert Chocolatiers all around France. These are notably hens, bells and fish. For a more detailed explanation and a tour of many Parisian chocolate Easter displays, see my post here. HENS: As hens continue to lay their eggs even during the 40-day Christian tradition of Lent when meat or eggs are not allowed to be eaten, Easter’s arrival signalling the end of Lent means that there are a lot of eggs to be used. BELLS: Tradition has it that church bells fly to the Vatican in Rome on Good Friday (bells therefore don’t ring for 2 days) and return with chocolate to distribute on Easter Sunday after joyfully ringing in the Mass to celebrate Christ’s resurrection. 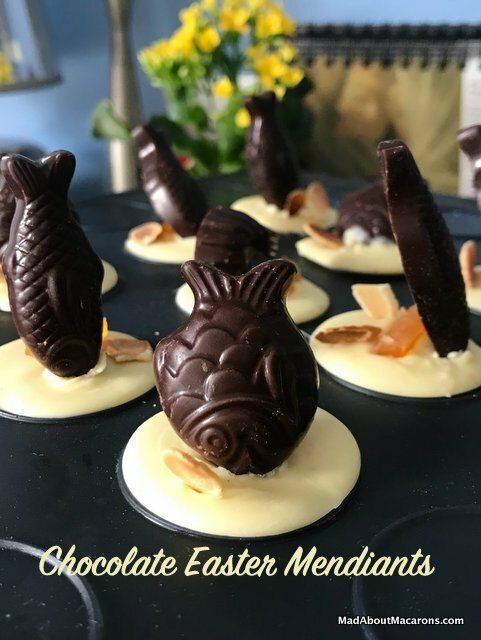 FISH: There are even more chocolate fish than usual this year, as Easter weekend falls on 1st April. In France, April Fool’s Day is known as Poisson d’avril (April Fish) and any decently duped April Fool in France will probably be sporting a school of colourful paper fish taped to their back. You’ll see all sorts of bags of dark, milk or white chocolate fritures, a mixture of fish, seafood and shell shapes. As I previously made Mendiants of Easter macaron bonnets, I couldn’t resist melting some white chocolate and sticking on some fritures with candied orange peel and toasted almonds. What’s more, I used my silicone macaron mat (have you seen my review here?) to make them. Gently melt white chocolate in a bowl over simmering water (bain marie) until 3/4 melted, quickly take it off the heat and stir to melt the rest of the chocolate, and leave for 5 minutes to cool. Spoon into the macaron circles (or simply onto baking parchment) and as soon as the chocolate appears to set (about 10 minutes later), quickly press in candied fruit, nuts and miniature chocolate eggs or friture. Leave in a cool place for about 20 minutes then peel off the mendiants. Pick some untreated, clean edible flowers such as primoses, primula, winter pansies or violas, lightly brush with egg white from back to the fronts of the flowers, then sprinkle lightly with caster sugar. Leave to dry in a cool, dry place and use within a month. For the macarons, use the recipes that are in either of my books, Mad About Macarons or Teatime in Paris! This recipe uses cornflour instead of flour, making the cake extra light. I used a cake mould of 23cm diameter but any similar-sized cake tin will work well. Ensure that your lemon is unwaxed before grating the zest. If not, pour over boiling water and brush off the wax with a clean kitchen brush and pat dry on kitchen paper. Preheat the oven to 180°C/360°F/160°C fan/Gas 4. Cream together the butter and sugar in a large bowl, either using a balloon whisk or mix together in a mixer until pale, smooth and creamy. Continue to mix together, gradually adding the eggs, ground almonds, cornflour, baking powder and lemon zest until the batter is smooth. Transfer to a cake mould (I used a shaped mould, 23cm diameter, although a normal cake tin is good) and bake in the oven for about 40 minutes, until golden. Meanwhile, make the syrup: squeeze out the juice in a bowl via a strainer to sift out the pips then weigh the juice and sugar together in a saucepan. Stir over a medium heat until it thickens slightly for about 10 minutes. Remove from heat. Cool the cake in the mould for about 10 minutes then take out of the tin and cool on a wire rack. Pour over the syrup all over the cake and decorate as you wish. Can keep for up to 5 days if kept in an airtight container in a cool, dry place. Good for freezing. 350 Calories per serving; 7g protein; 26g lipids; Gluten Free. Sign up for your free email alert, straight to your inbox: daily, weekly or monthly. The upside of last week’s heavy rainfall in Paris is that it has been ideal weather to bake some healthy breakfast bran muffins. At this time of year I’m always looking for ways to bring a smile to my teenagers’ faces in the mornings. Let’s face it, it’s easy to get on that downward spiral of fatigue with a general lack of winter sunlight, the girls’ mock lycée exams and crescendo-ing snatched snooze alarms before reluctantly pushing aside the duvet (sound familiar?). We’ve needed to cheer up by starting the day with quick and easy comfort food that’s a bit nostalgic. 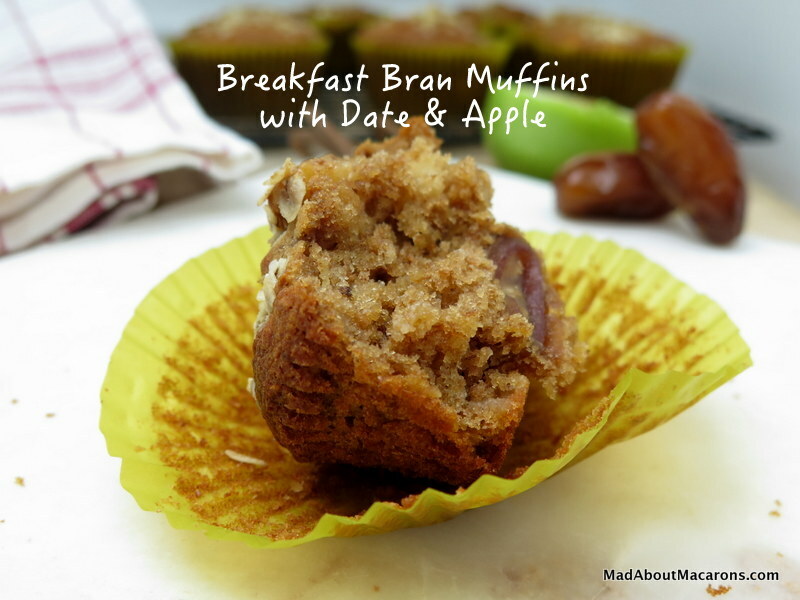 Baking up a batch of these warmed healthy breakfast bran muffins with dates and apple has added a wee smile on my face too, thinking of Granny. 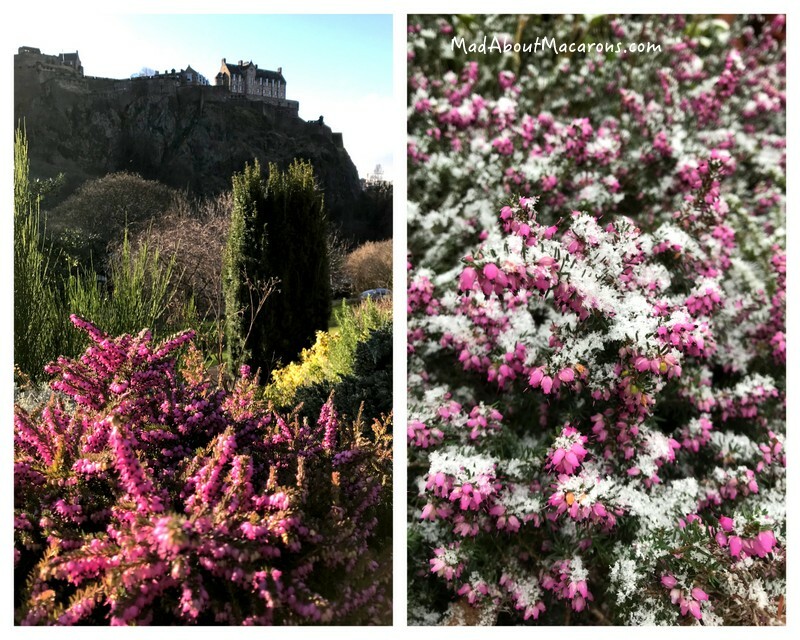 First let me show you some bright and cheery Scottish heather, snapped in Edinburgh’s Princes Street Gardens over the weekend, then my French heather back in the garden, just after I got home, just west of Paris. There, that’s a sunshine fix for us – now for the muffins! Looking for some cheery nostalgia, I brought out Granny’s Black Book of Scottish recipes again. I took it as a sign as the book opened directly at page 43, with Miss Adams’ recipe for Bran Muffins. Only Granny would have known who Miss Adams was, as I can’t find any family members who had heard of her. 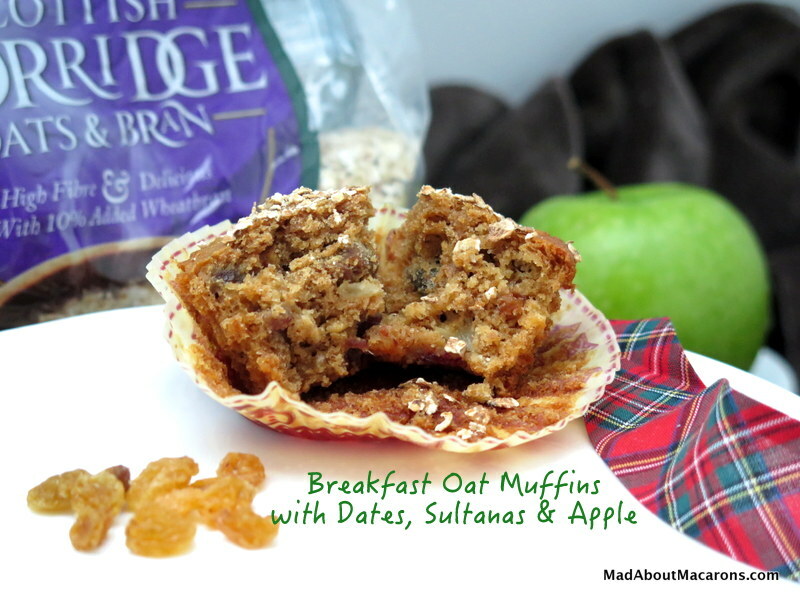 In any case, it was the perfect time to make these healthy breakfast bran muffins, as I’ve just discovered Hamlyn’s of Scotland’s new Oats and Bran. It took me right back to the time my Mum used to make bran muffins using a well-known breakfast cereal but when I checked the company’s website, it wasn’t up there – but who knew that Granny had a recipe? 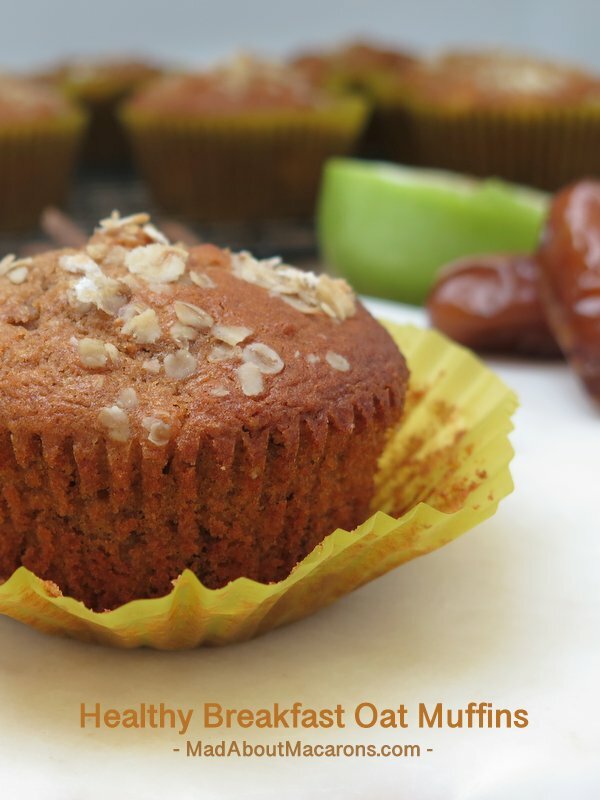 So bring on these deliciously moist Breakfast Bran muffins, adapted from Granny’s Black Recipe Book with added healthy oats, dates and apple – and using weights (grams/ounces) to volume (cups). Incidentally, if you’re curious why I always use weights rather than volume, see my post on measuring your baking here. And if you’re not curious and use cups, then I thoroughly recommend you read it now, as it will change the way you bake. It’s not as important for making easy muffin recipes like this one, but boy – you can’t make macarons, fancy cakes consistently well, or French patisserie without digital scales! As you can see from Miss Adams’ recipe, granny suggested using dates. I love that squidgy concoction. She often mixed dates with apple in her recipes, so I added the apple in these too for old times’ sake. 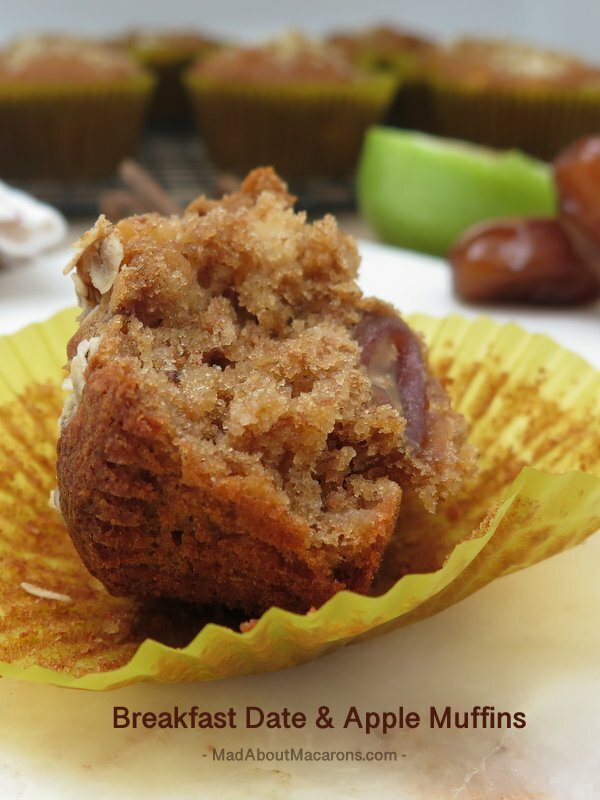 The apple makes the bran muffins extra moist and with the dates’ natural sweetness, there’s no need to add anything to them. If you make the muffins the night before, just warm them slightly to serve for breakfast. 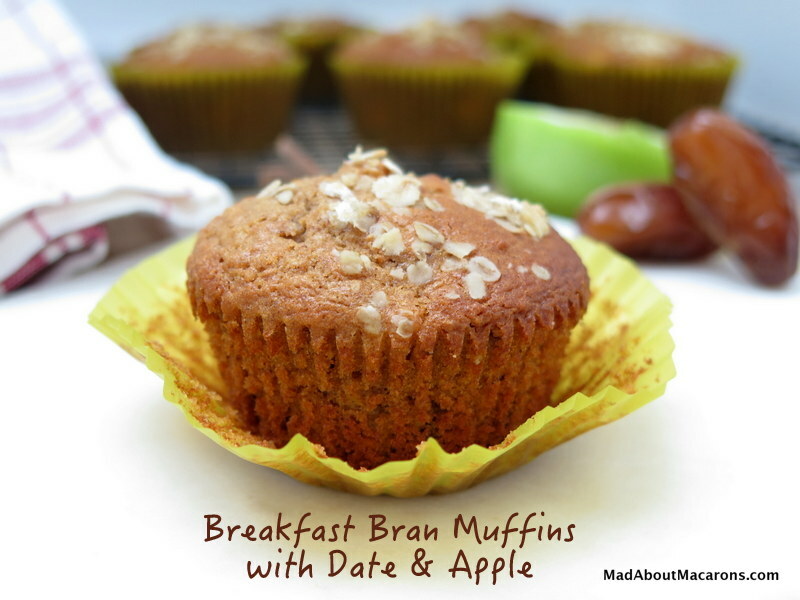 Irresistibly moist bran muffins with oats, dates and apple for a delicious healthy start to the day. Add apple spice or gingerbread spice at Christmas to make them a festive treat. Preheat the oven to 200°C/400°F (180°C fan); Gas 6. In a large bowl, mix the flour, oats with bran, baking powder and salt. Add the dates and apple (and apple spice if using) and coat in the flour mix. In another smaller bowl, beat the egg with the milk, melted butter and sugar. Mix together then add to the dry flour ingredients, stirring well until the batter is smooth. Spoon the mixture into paper cases inserted in buttered muffin tins (or directly into silicone muffin moulds). Fill ¾ of the way up. Sprinkle with a few porridge oats and bake in the oven for 15-20 minutes. Leave to cool completely for about 10 minutes before taking out of the tin. Best served fresh on the day but for busy bakers, make the night before and store in an airtight container once cool. Variations: Instead of 100g dates, mix 50/50 of dates and sultanas. Another variation is to replace the dates with soft dried apricots – particularly the organic dark ones. 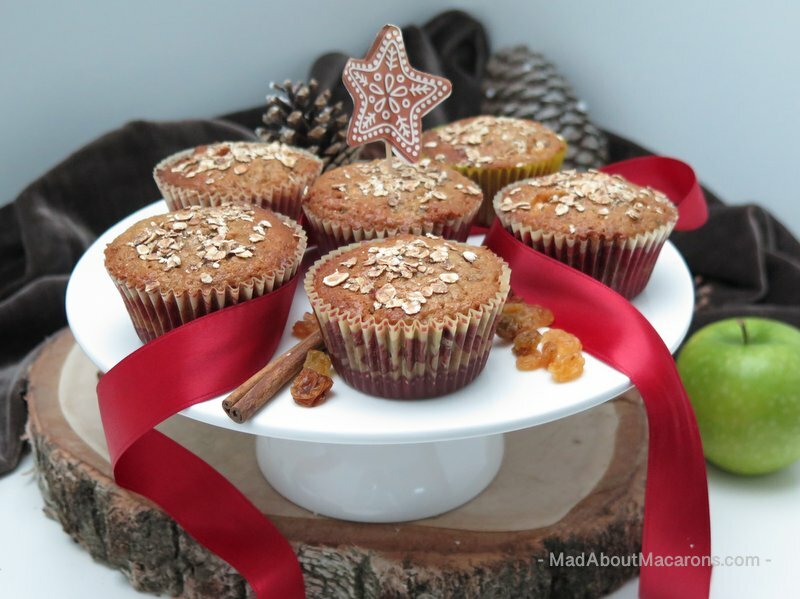 Christmas Version: Add gingerbread spice to make them into Gingerbread Apple Muffins! Another Year and Even More Mad About Macarons! Happy New Year! Wishing you the best of health, happiness and may all your sweet dreams come true in 2018. To kick off the year, here’s a batch of dark chocolate macarons made with a splash of Whisky Liqueur (Drambuie) just to have an excuse to say Cheers to you! Santé ! Sláinte! It’s easy to reproduce them yourself at home. Grab a copy of my book, Teatime in Paris, then simply flick to the Macaron Recipe chapter and follow the instructions for the Chocolate, Honey & Orange Blossom Macarons. Just replace the orange blossom with a Whisky Liqueur (I used Drambuie, which has a herbal honey flavour to it) or your favourite Whisky for a wee kick. Are you a keen baker, love macarons but haven’t yet made them? Then make 2018 your year of le macaron! As some of you may have seen on Instagram/Facebook, I’ve been looking for many ways to celebrate since in December, I became a French citizen. Do I feel different? Well, yes. Bah ouiii! I should have done this years ago but now I’m finally able to vote full-monty-on in France; like many of my fellow ex-pats, it’s something I wasn’t able to do as a British citizen abroad during the UK Brexit elections. So now I have more of an identity, including an official French Carte d’Identité and been so emotional, that I’ve had quite a frog in my throat. 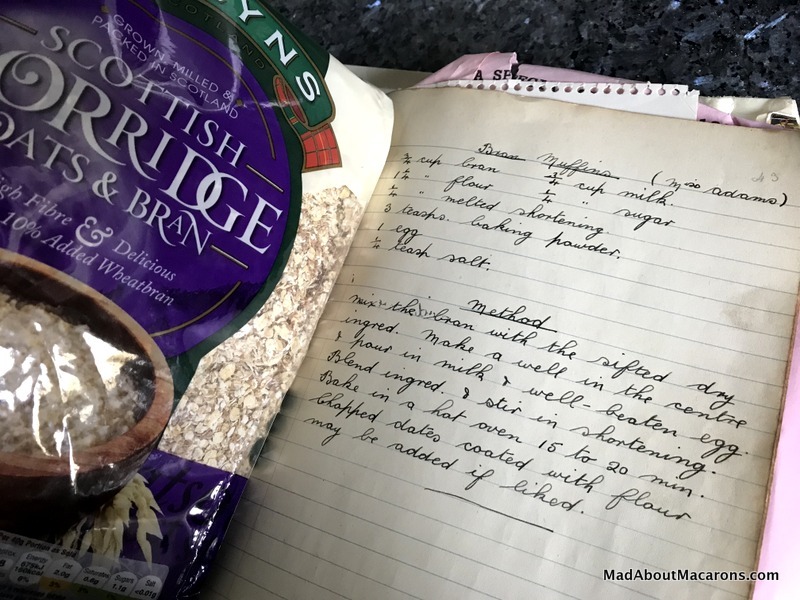 As I’ve kept my British-Scottish nationality, it’s leading me to post more French and Scottish recipes here – it’s surprising how much they have in common. Although I’m called Mad About Macarons, don’t be put off – I post all kinds of different recipes here, including the ‘sweeter’ recipes reduced in sugar. The Scots particularly loved their Bordeaux wines, known as Claret or Clairet, as the much-awaited barrels arrived in Edinburgh’s Leith Docks. But Bordeaux is also just as famous for their Canelé teacakes, found in many Parisian bakeries. Made with egg yolks (the whites were used for the wine), vanilla and rum, you’ll also find an easy recipe for them in Teatime in Paris. 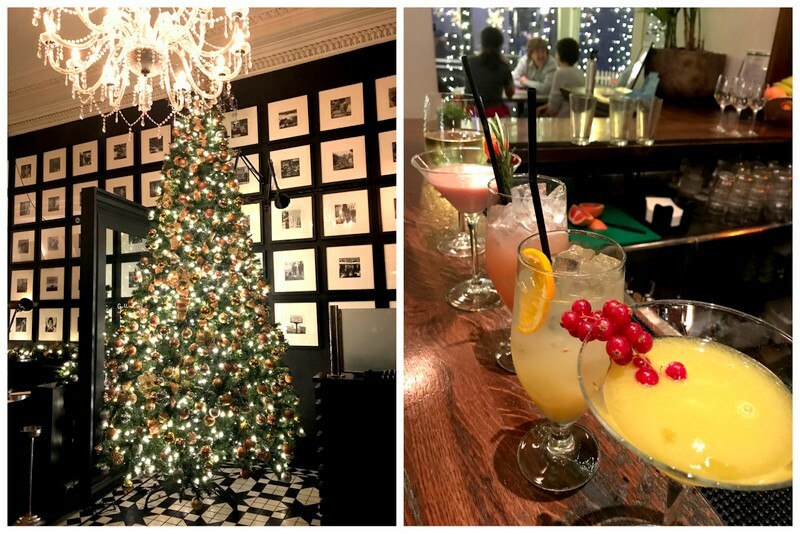 Before I post the first recipes and blog articles for 2018, here are just a few snapshots while spending Christmas with my family in Scotland. We were lucky to arrive on Christmas Eve and enjoy the ambience of Edinburgh’s award-winning Christmas Market. 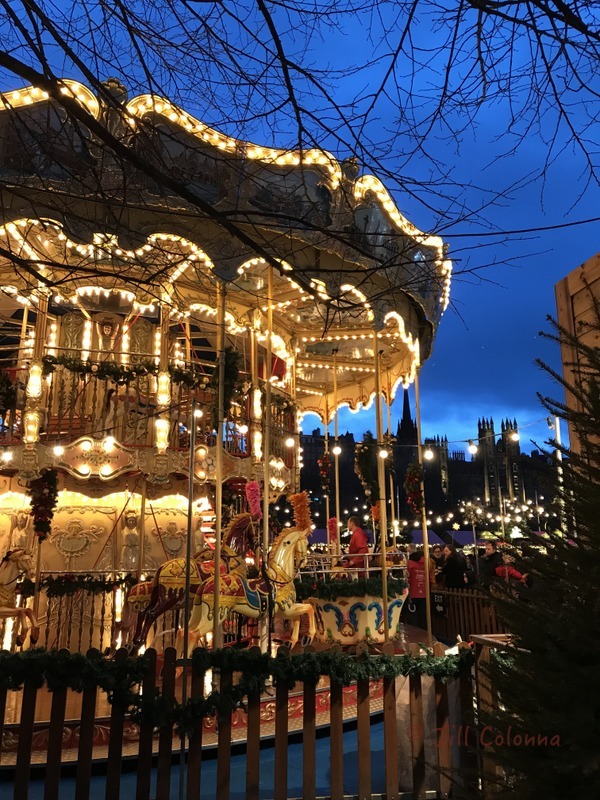 The Christmas Market flows over not just one but THREE levels in East Princes Street Gardens, around the Scot Monument. 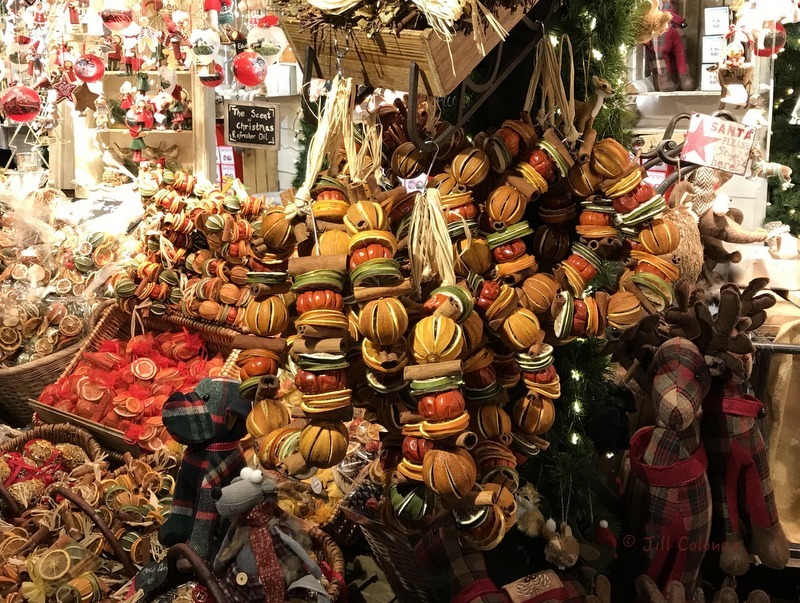 Stalls of fragrant festive spices in all shapes and forms greet passers-by, along with tartan reindeer and other beautiful crafts, plus ample opportunities to stop for a mug of mulled wine or cider in between rides for all ages. 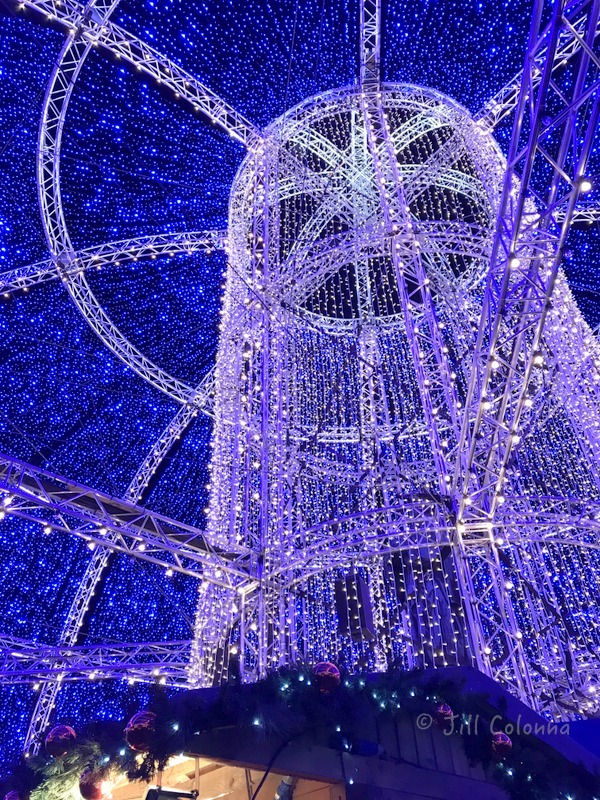 If you haven’t been to ‘Edinburgh’s Christmas‘, then mark it on your bucket list: it includes shows, free events, Santa’s Grotto, ice sculptures – just to name a few. Following on to George Street after ice-skating in St Andrew’s Square, this dazzling construction below – again encasing more opportunities for a Christmas tipple from a Whisky Liqueur to RumChata Hot Chocolate – lures the more adventurous to the Drop Tower next door. Last year my daughter, Lucie, was so excited to be whirled around high above the Scot Monument on the Star Flyer but this year the even more daunting tower certainly made our jaws drop – and that was just looking on! As we looked on in disbelief at her few minutes of screaming and waving her legs about towering over Edinburgh, cocktails beckoned in one of the many chic establishments in George Street before heading back home to continue the festive fun with the rest of the family. The following days involved plenty of flambéd Christmas Puddings with brandy butter and custard from talented dessert whizzes Auntie Catherine, and my adorable sis-in-law – who laid on extra entertainment of chasing chickens off the road back into the neighbours’ garden in Kinross. 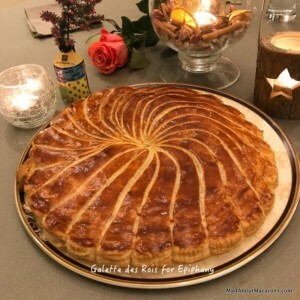 Now that we’re back in France, the festivities continue with Epiphany, the Feast of the Kings or Twelfth Night this weekend (what January diet? I never diet!) Traditionally, this puff pastry almond-frangipane-filled dessert contains a lucky favour (fève), and the person who gets it becomes King or Queen for the day. Perhaps that’s why we don’t just celebrate it this weekend only: like most of the French do, we’ll no doubt be continuing with this cutting, tasting and crowning until the end of January! There are so many different creative versions to try out. For more explanation on the Galette des Rois and a line-up from many top pastry chefs in Paris, see my post here. Although written two years ago, many of the galettes remain the same in the Parisian bakery windows – including my own homemade recipe. 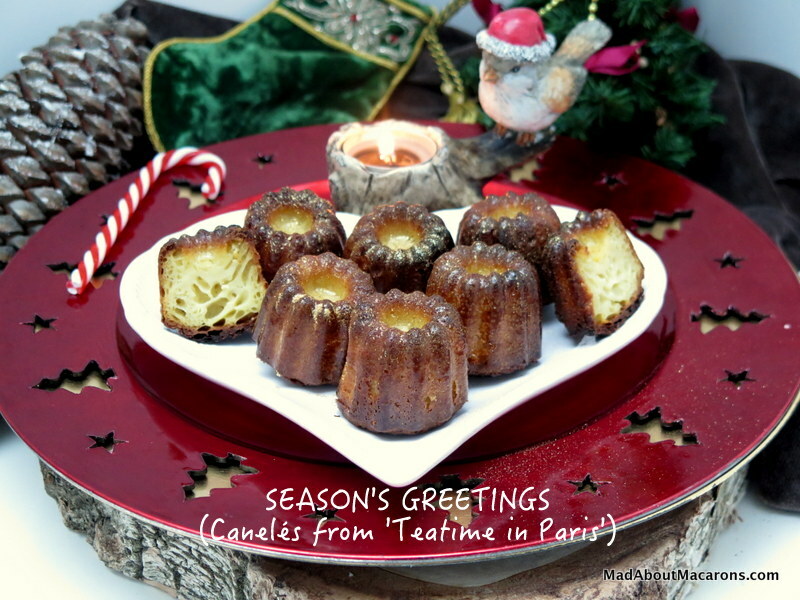 You knew it was coming … the recipe is in Teatime in Paris! As I was writing this for my monthly Newsletter, I shared it here as a once-off on le blog too in case you don’t receive it. So, if you’d like to have a copy in your inbox next time, then simply sign up to the Newsletter here. Don’t worry, I never share your details with anyone. You can also subscribe to receive notification of the latest posts and choose from daily, weekly or monthly too! Click here to never miss a post (please just remember to complete registration by clicking in your email to confirm). Please also don’t be shy about leaving a comment below any posts here. Your email is never shared publicly. I’m so thrilled to hear from you, whether it’s just a hello, a question, or telling me you’ve made the recipe (that’s always the BEST!). 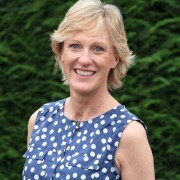 Your motivating comments make this blog worth continuing this year as I don’t monetise my blog. Until the next, à très bientôt ! 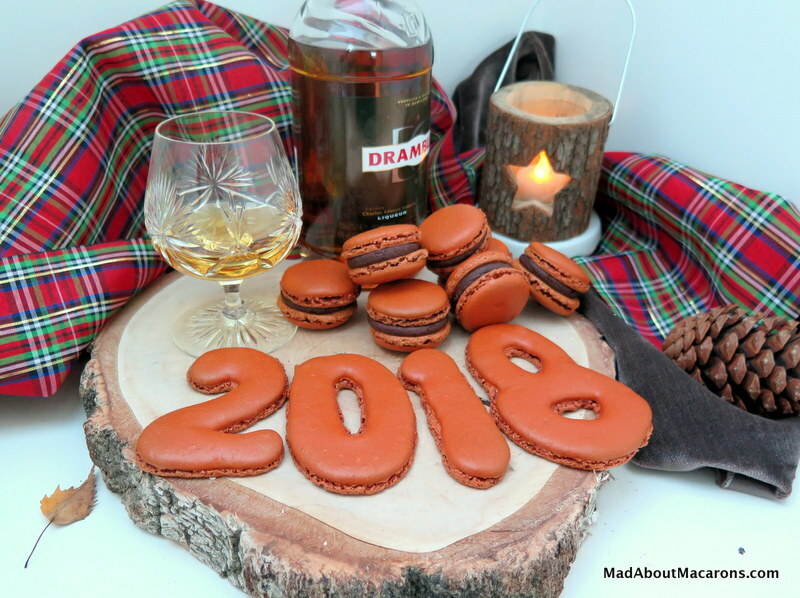 https://madaboutmacarons.com/wp-content/uploads/2018/01/Chocolate-whisky-macarons-Drambuie-colonna.jpg 598 800 Jill Colonna https://madaboutmacarons.com/wp-content/uploads/2015/04/logo-mad-about-macarons.png Jill Colonna2018-01-05 17:41:112018-12-30 16:11:18Another Year and Even More Mad About Macarons! A festive version of the French classic dessert, Pruneaux au Vin, with orange and added spices – and perfect with macarons! Go nuts! Make your mornings ‘oat-ra’ special with festive warming spices, orange & maple – and no added sugar!